Felix Michael Rogers was born on 6 July 1921 in Somerville, MA. He graduated from Newton High School in Newtonville in 1939. Rogers enlisted as a Private in the U.S. Army in April 1942, became an aviation cadet in August 1942, and completed pilot training and received a commission as a Second Lieutenant in the U.S. Army Air Forces at Yuma, AZ, in 1943. During World War II, Rogers served as a P-39 Airacobra pilot with the 353rd Fighter Squadron at Hamilton Field, CA. He moved with the Squadron to the European Theater of Operations, flew P-51 Mustang aircraft and became Squadron Commander. He is a fighter ace, credited with downing 12 enemy aircraft while flying from bases in England, Italy and France. He returned to the U.S. in January 1945 and was assigned to flying duties in fighter aircraft until November 1945 when he became Commandant of Troops at Hunter Field, GA. Between September 1946 and June 1947, he served as Flight Commander, Operations Officer, and Commander of the 77th Fighter Squadron, 20th Fighter Group, at Shaw Air Force Base, SC. 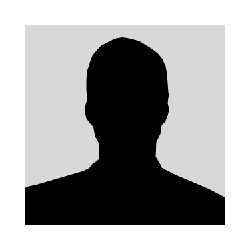 He next was a student at the University of Virginia under the Air Force Institute of Technology program from July 1947 to August 1949. In August 1949 Rogers was transferred to Headquarters U.S. Air Force as an Intelligence Staff Officer in the Directorate of Intelligence. He attended the language course at Lacaze Academy in Washington, DC, from October 1952 to June 1953, in preparation for Attaché duties. He received a Bachelor of Science Degree in Military Science from the University of Maryland in 1952. Rogers served as Assistant Air Attaché in Madrid, Spain, from June 1953 to February 1957. He then returned to Headquarters USAF as Chief of the Current Intelligence Branch in the Office of the Deputy Chief of Staff, Operations. In 1958, he was transferred to the Organization of the Joint Chiefs of Staff as Director of Current Intelligence, J-2, and in August 1960 entered the National War College. In July 1961, he was assigned to the Office of the Assistant Secretary of Defense with duty station at the State Department. 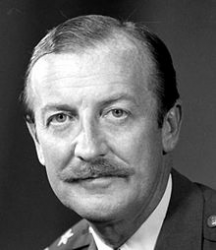 Rogers served as Secretary of the Air Force Council in the Office of the Vice Chief of Staff from May 1962 until February 1963, and then as Director of the Secretariat, Air Force Council Designated Systems Management Group, Air Staff Board. He was assigned to Air Force Systems Command as Assistant Deputy Chief of Staff, Development Plans in September 1966, and became Deputy Chief of Staff, Development Plans in August 1968. Rogers served as Senior Member, United Nations Command, Military Armistice Commission, Korea, from July 1970 to August 1971. He assumed the position of Deputy Chief of Staff for Technical Training at Air Training Command Headquarters in August 1971. He became Vice Commander of Air Training Command in November 1972. In November 1973, Rogers was appointed Commander of the Air University at Maxwell Air Force Base, AL. In this position, he directed the professional military education programs for both officers and noncommissioned officers to meet the requirements of the Air Force. 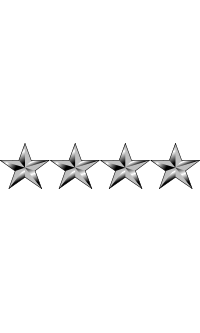 On 1 September 1975, Rogers was promoted to the four-star rank of General and assigned as Commander of the Air Force Logistics Command. General Rogers retired from the Air Force on 31 January 1978. After retirement, Rogers co-founded MGM Grand Air with another Los Angeles businessman.